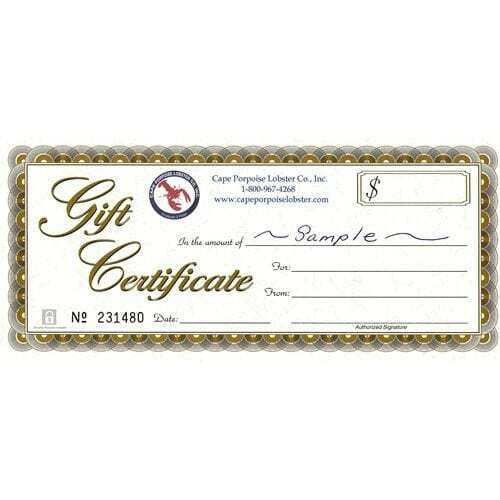 Seafood Gift Certificates | Cape Porpoise Lobster Co.
Cape Porpoise Lobster Co. offers Lobster and Seafood Gift Certificates in $50 increments or in any requested amount. We mail directly to you or your recipient at no additional cost. For special packages or to send via FedEx, give us a call at 1-800-967-4268. Impress seafood enthusiasts and gourmet food fans with high-quality, authentic Maine Lobster, fish, shellfish and more. 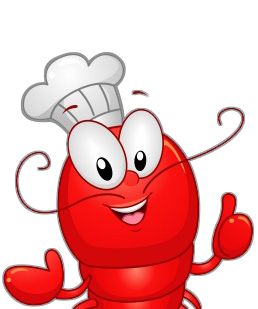 Cape Porpoise Lobster Co. gift certificates buys a wide variety of seafood favorites including completed lobster dinners, crab cakes, chowders and more as well as raw, fresh seafood for your own creations. True seafood fans know the cold, clean waters of the North Atlantic produce many of the most flavorful seafood varieties and the fishermen of Maine have captured these delectable fish for generations. Cape Porpoise Lobster Co. selects the best harvests from the Cape Porpoise harbor for their delicious recipes and seafood shipments. Seafood lovers anywhere can savor the distinct taste of Maine’s best catches and order their favorites with next-day shipping to maintain top quality. Cape Porpoise Lobster Co. gift certificates give each recipient exclusive access to Maine’s abundant fishing waters to choose their favorite dinners, appetizers or ingredients. Give the gift of Maine lobster and fresh seafood to friends, family, coworkers or any seafood fan for a unique, tasty gesture that will never to go waste.